Order in advance and save $2! 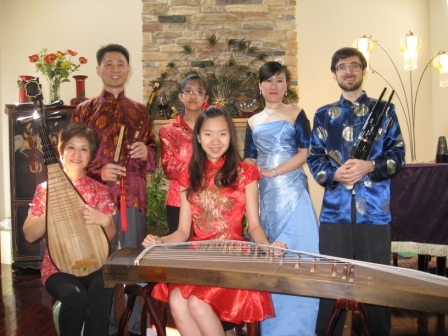 Immerse yourself in the uniqueness of Chinese culture as the Cleveland Chinese Music Ensemble presents an intimate evening of graceful and exotic music inspired by the fanciful images on mah jongg tiles—the four seasons, winds, flowers and dragons—played on traditional Chinese instruments. Interspersed between the musical pieces will be selected readings (in Chinese and English) of evocative poems from China’s classical antiquity. JUST ADDED! For a memorable finale, the internationally renowned, Cleveland-based klezmer violinist Steven Greenman will join the ensemble for a cross-cultural performance of a Jewish favorite, recreating the kind of musical interaction that could have taken place between Jewish and Chinese musicians in the Lower Manhattan of the early 20th century.